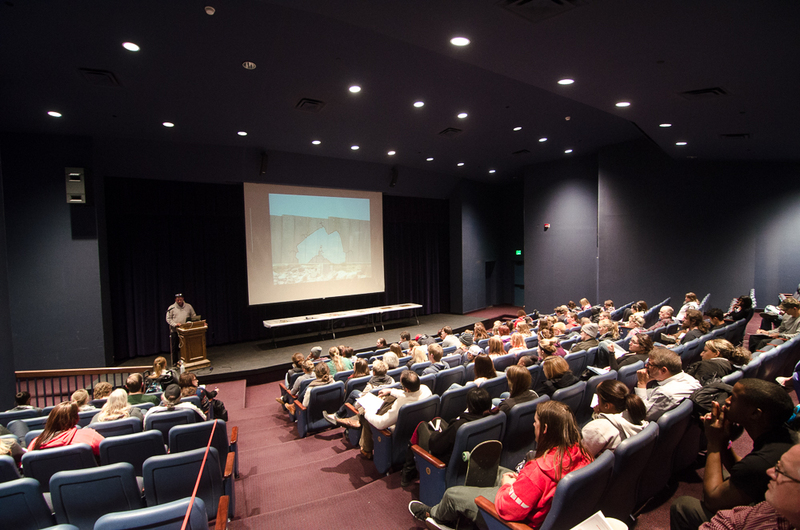 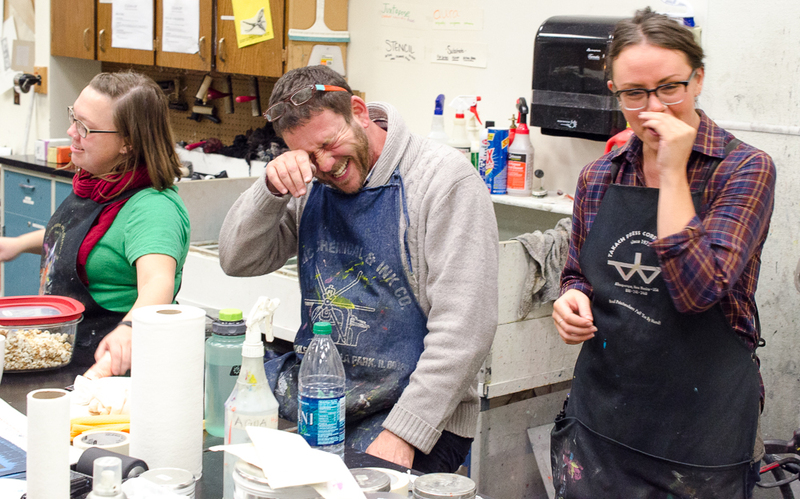 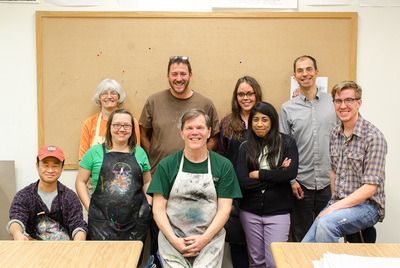 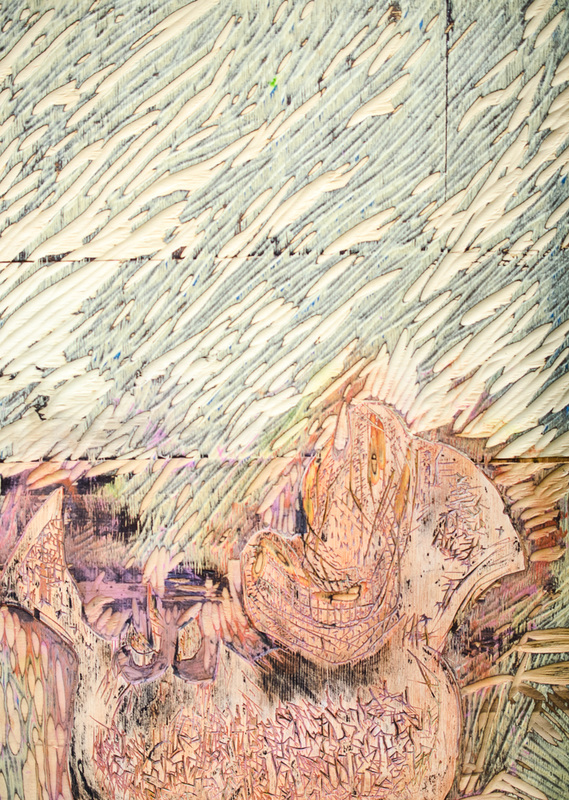 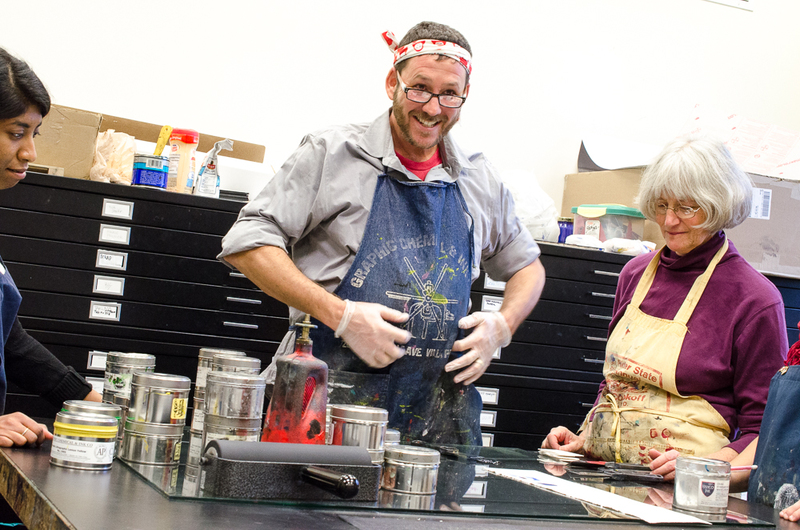 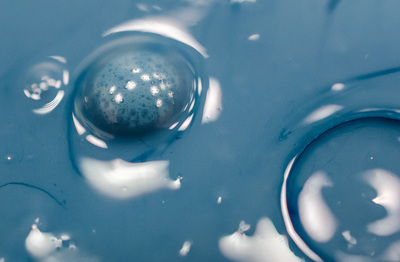 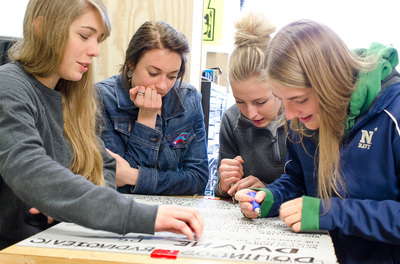 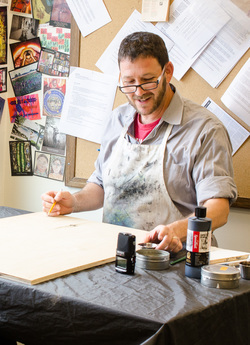 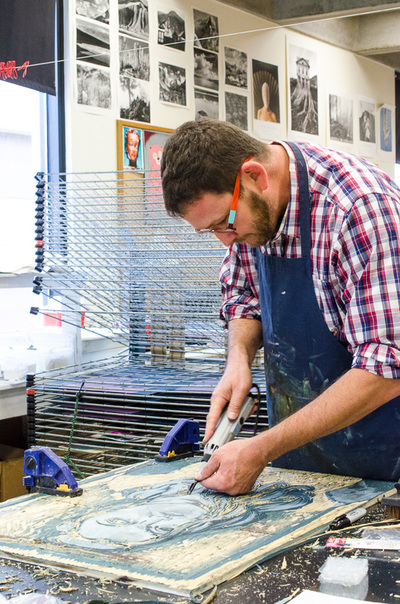 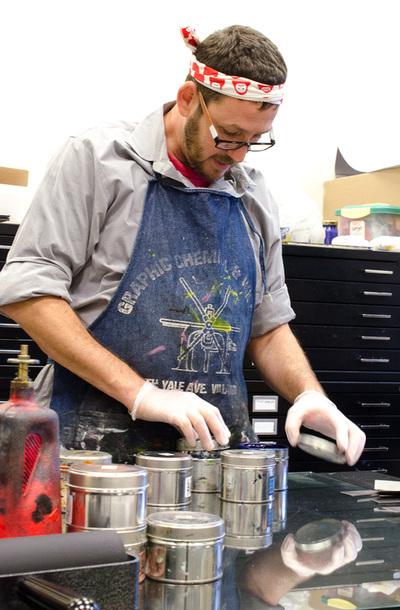 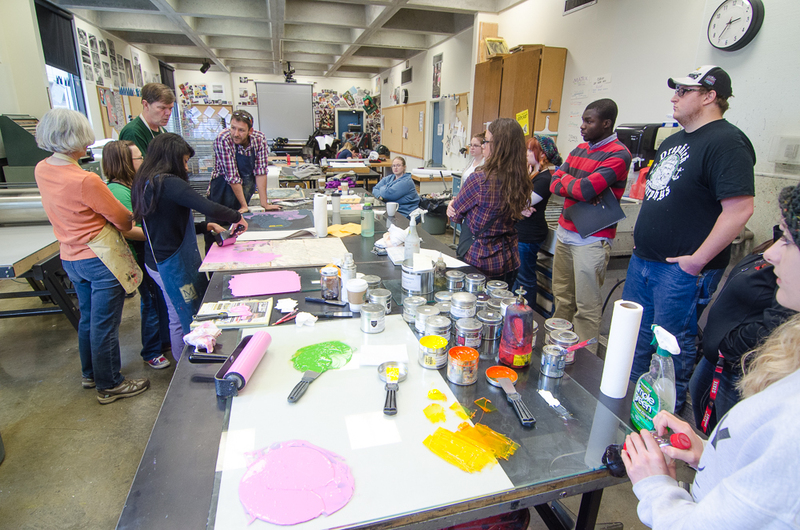 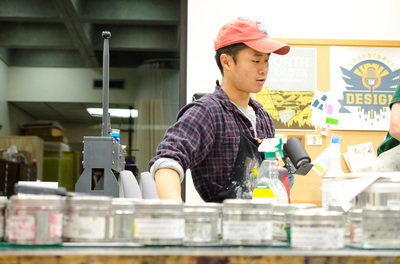 ​Guggenheim award winning artist, painter, and printmaker Daniel Heyman visited Flat Tail in 2014 as a joint project with Sundog Press at the University of North Dakota. 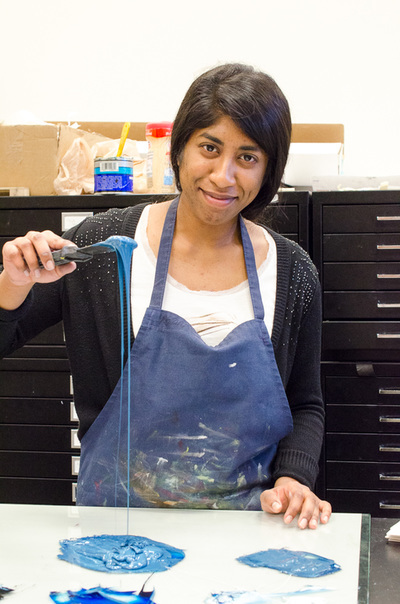 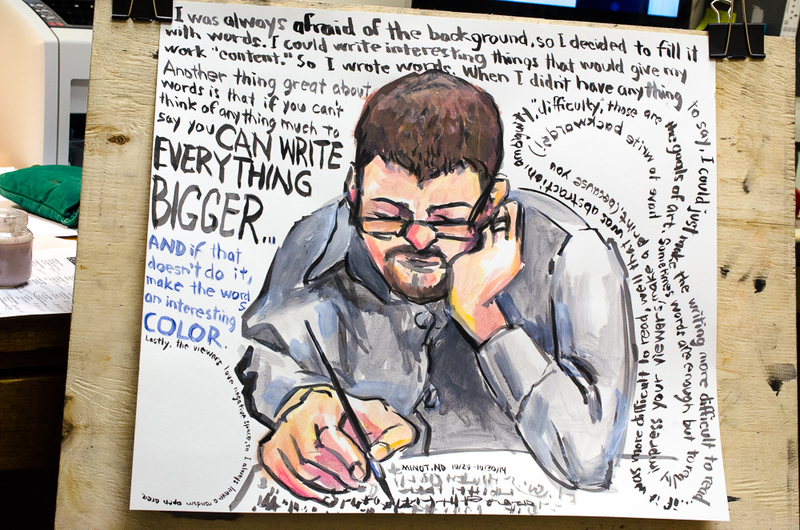 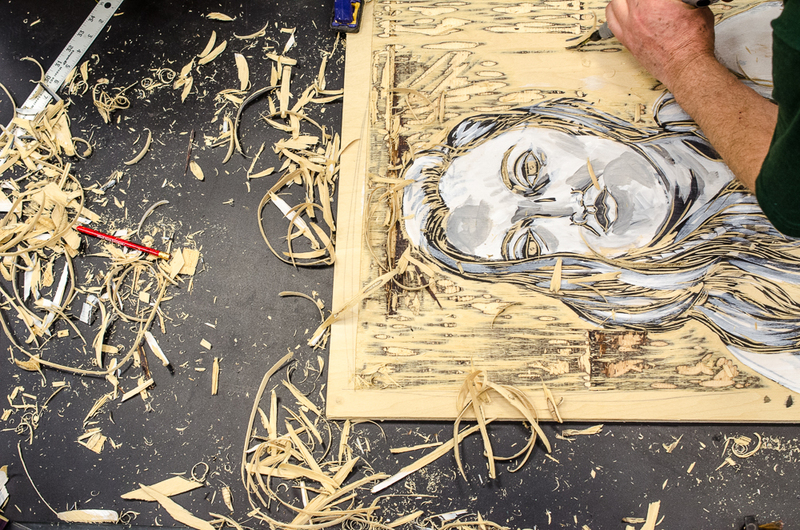 At its core, Heyman’s work is about sharing people’s stories. 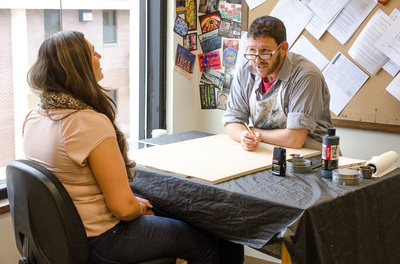 For this visit, Heyman was interested in collecting interviews from immigrants. While at Minot State, he met and interviewed Daiane De Domingos Radivojevic, a native of Brazil who had come to the US to play basketball. 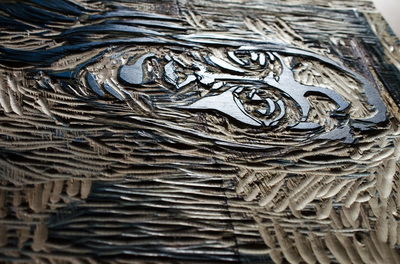 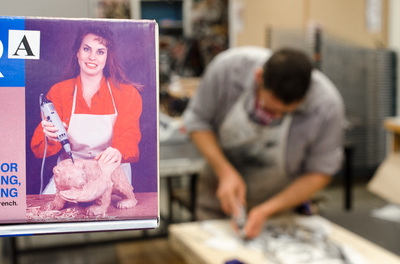 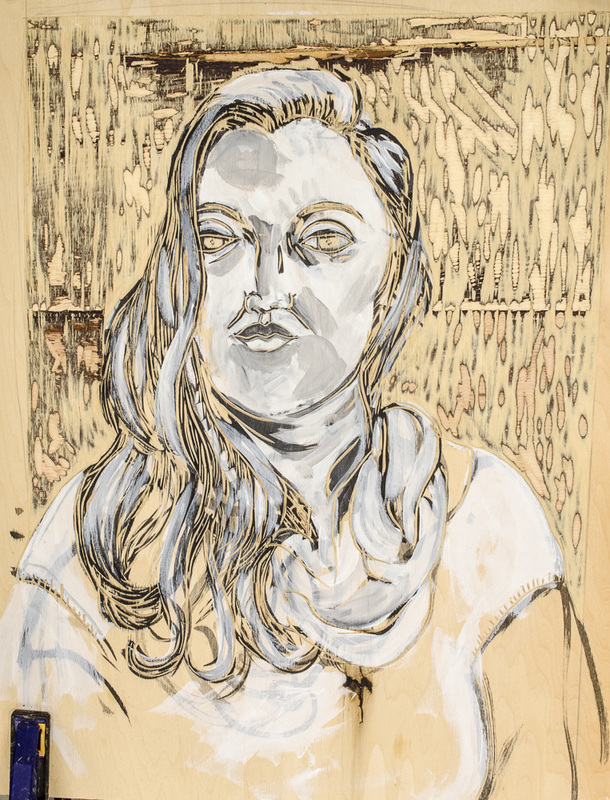 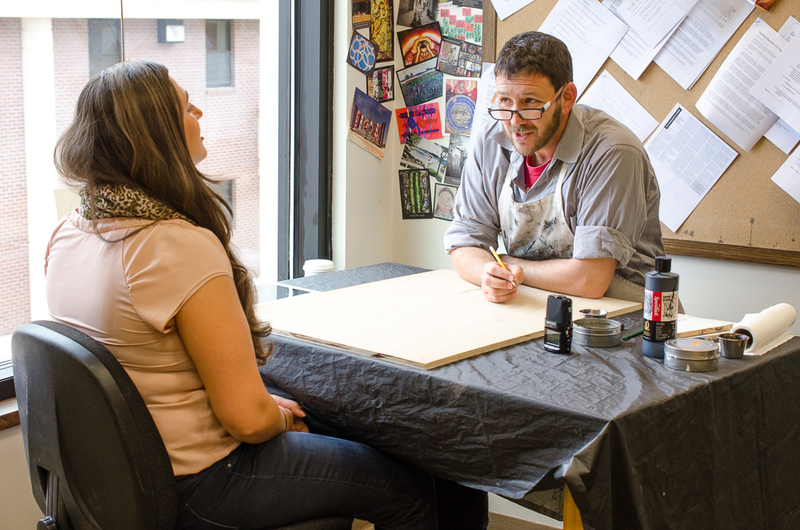 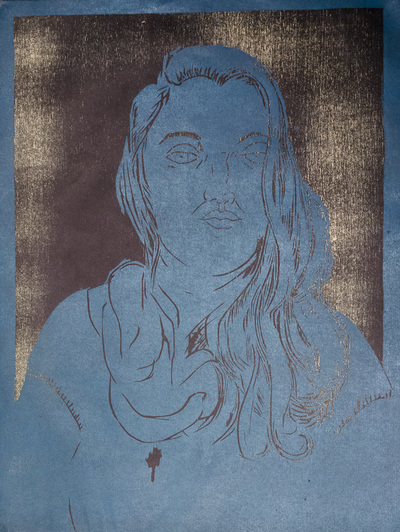 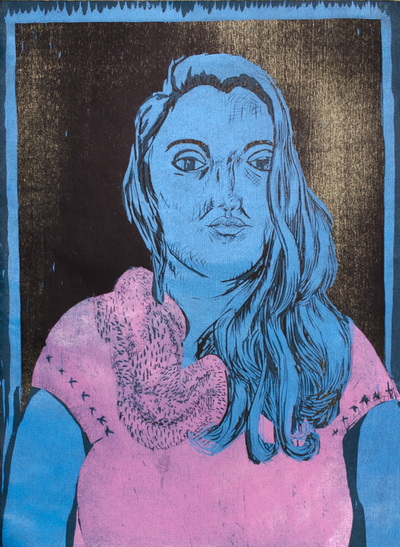 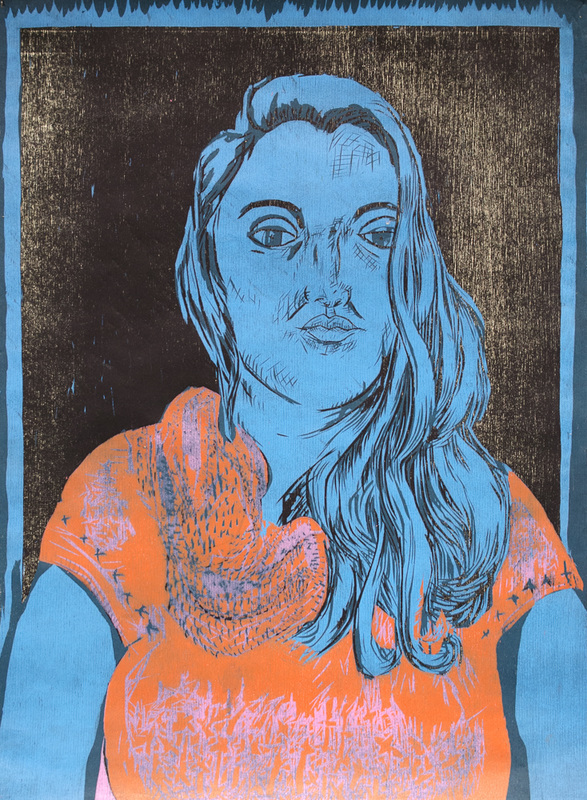 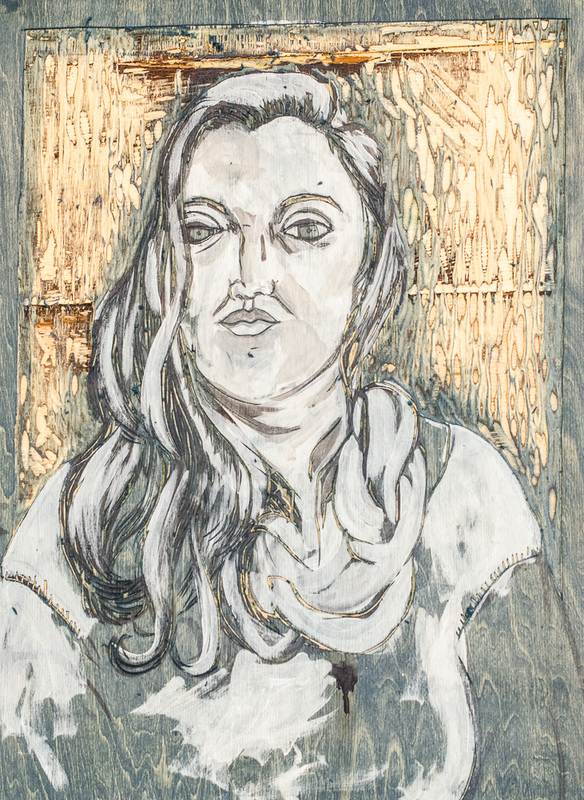 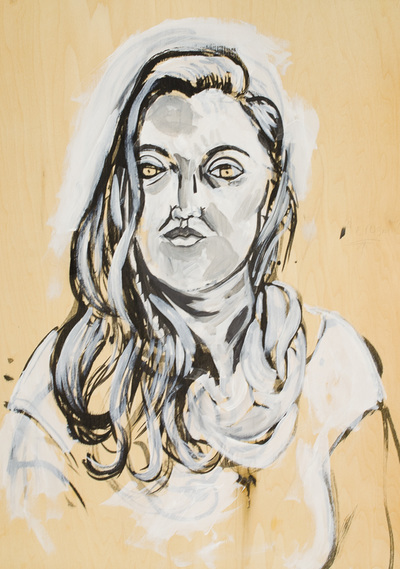 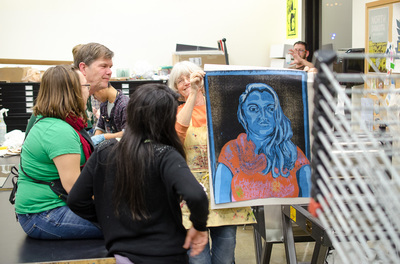 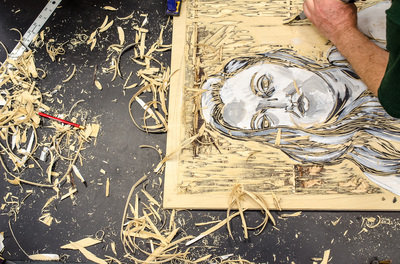 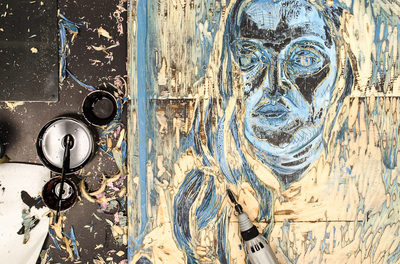 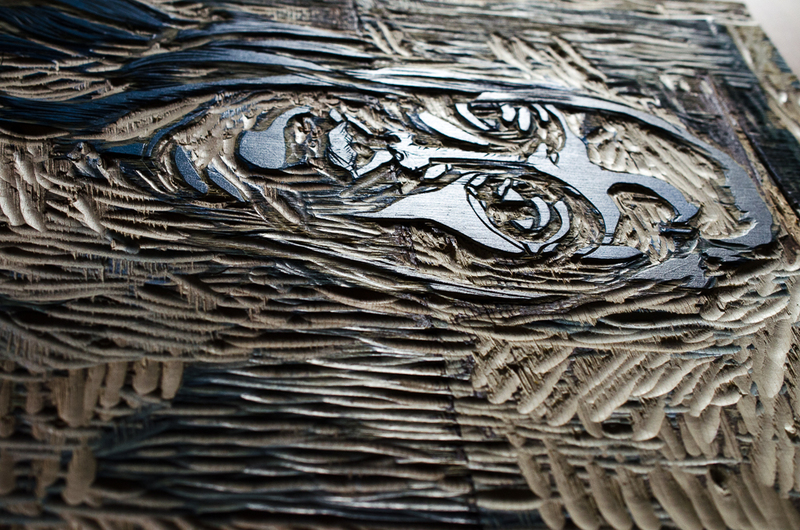 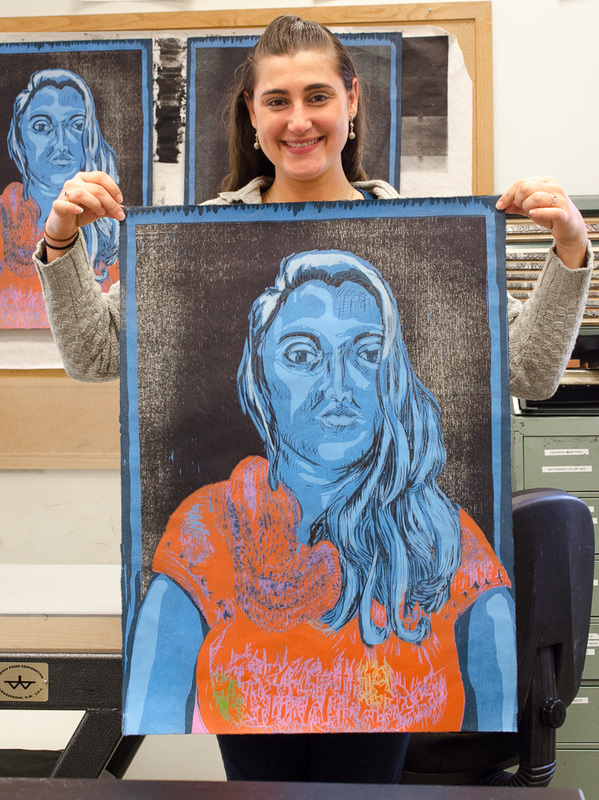 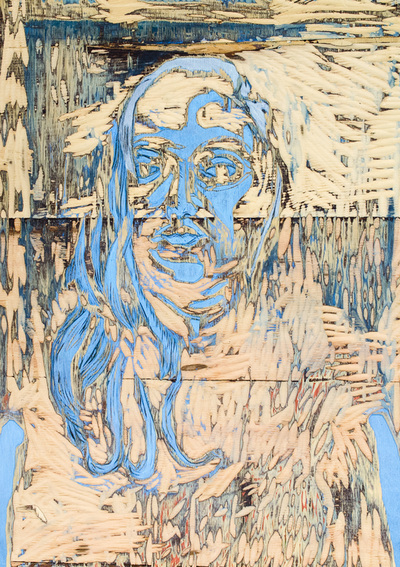 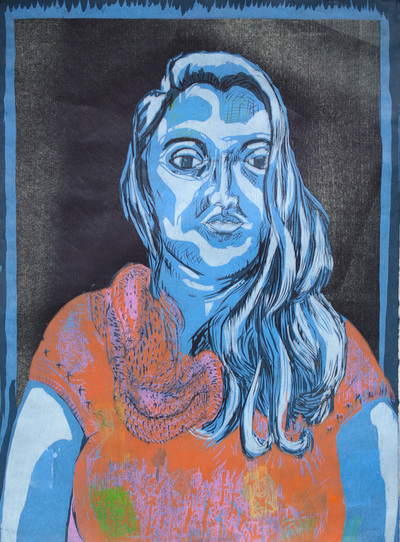 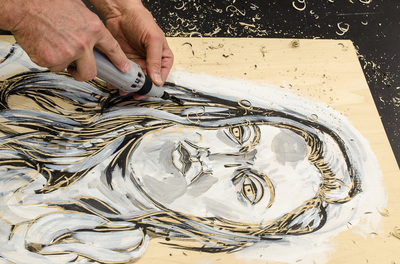 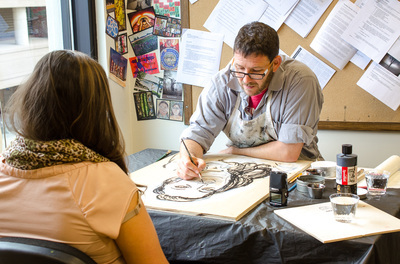 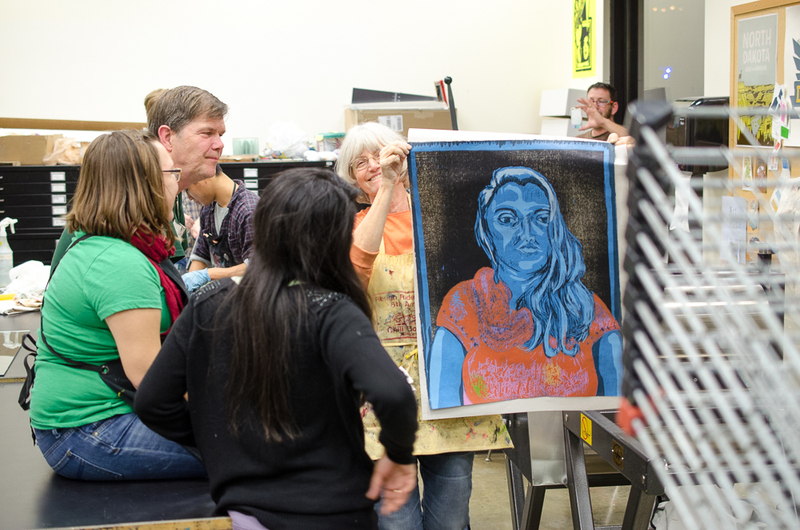 He sketched and interviewed her and subsequently did a multi-color woodcut portrait and linoleum block text panel recounting aspects of her journey.